Even the Cornish drizzle couldn’t stop couples from getting the chance to see Boconnoc in all its glory for our Open House on Saturday 27 January. It was a pleasure to see so many couples along with their families and friends; some familiar faces and some new. 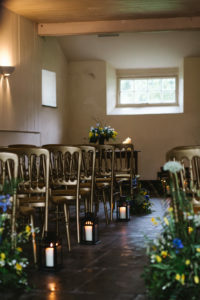 A few of our recommended suppliers helped to dress the house and Stable Yard, making it look its very best for all our wonderful couples. We had the completely unique Buffalo Bar (a vintage airstream converted bar), which sat proudly outside of the front of the main house – a fabulous contrast – serving the most inviting cocktails including French Martinis and Elderflower Collins. 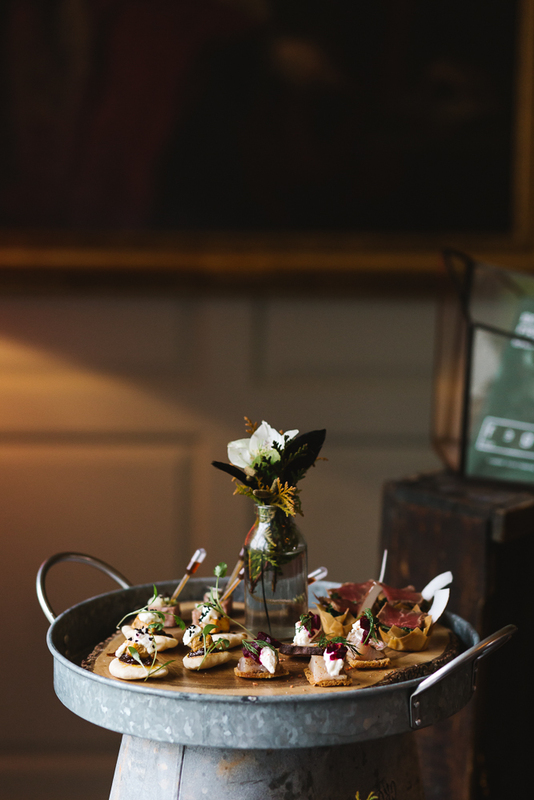 Delicious canapés were served, including our favourite – seared tuna with pickled ginger and dashi pipette – by the talented Fego Food who chatted to couples in the Panel Dining Room. 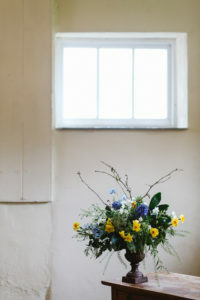 Guests were able to wander the Stable Yard and Cottages where the Coach House ceremony room was dressed by Phillip Corps with vibrant spring flowers to give them an idea of how their ceremony could look, and also their party the night before in the Soane Room. The Garden Room was elegantly styled by the talented Garden Gate Flower Company showing off a variety of wedding breakfast set ups consisting of different colour themes and accessories. Thank you to Abbotts Event Hire for supplying us with the cutlery, glassware, linen and crockery, ensuring that couples could visualise how it would look for their big day. 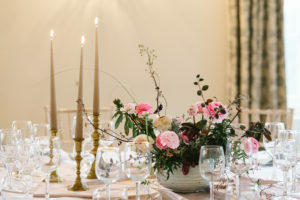 Garden Gate Flower Company also created a wonderfully rustic mantle piece arrangement in the drawing room, filled with beautiful greenery and flickering staggered candles, giving it a dreamy, romantic feel. 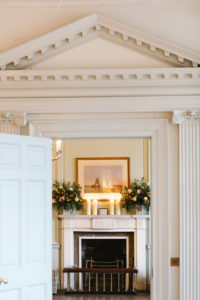 Charles Fox set up stunning arrangements in the Hall, Drawing Room, Panel Dining Room and Smoking Room to wow our guests. 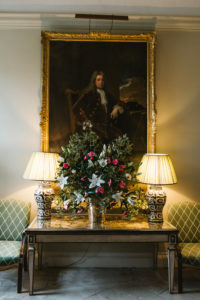 His arrangements feature some glorious blooms and foliage from the estate, with colour schemes that perfectly compliment the house and its interiors. 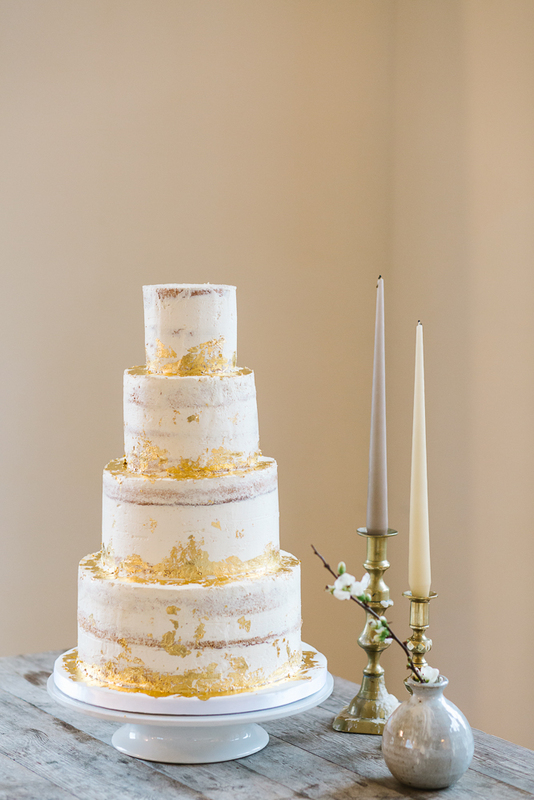 The ever so talented Christine of Peboryon joined us with some of her fabulous cakes which were displayed between the Garden Room styling and the Drawing Room. We never tire of their ingenious creations! 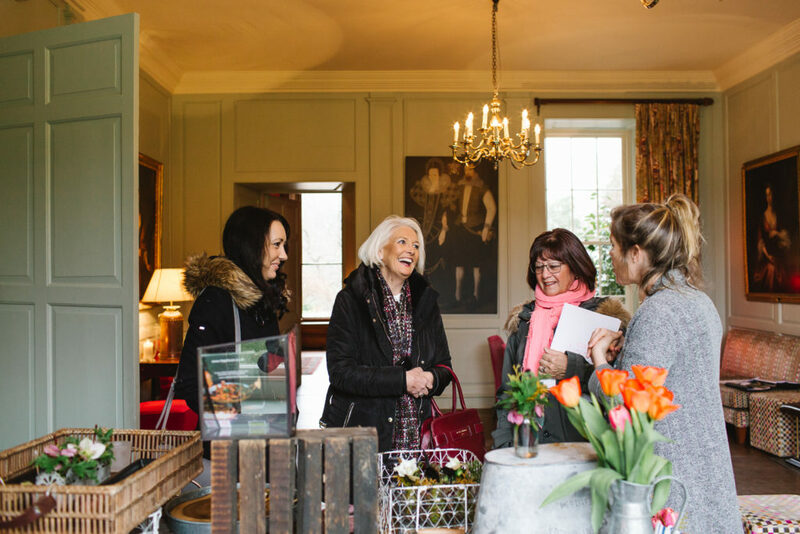 We were delighted to welcome so many couples and their friends and families to the Open House event – we look forward to speaking to them more as their wedding plans come together.